The name Phil Maloney means two different things to two different generations of Vancouver Canucks’ fans, but his name remains synonymous with West Coast hockey. As a player, Phil Maloney was consistency personified. When he first broke into the NHL, as a rookie with the Boston Bruins in 1949, his star was shining brightly. He finished that season with 15 goals and 31 assists in 70, and was second to teammate Jack Gelineau in balloting for the Calder Trophy for the league’s top rookie. 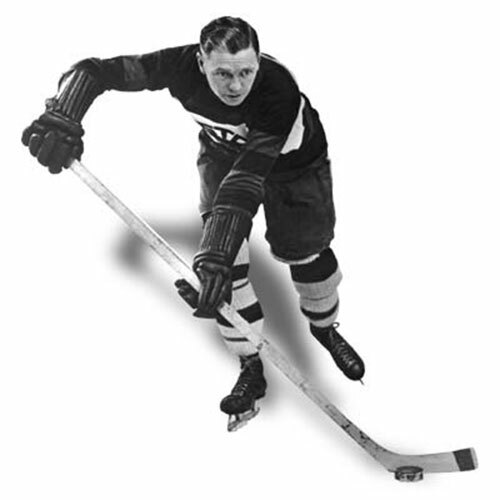 Although Maloney appeared in over 150 NHL games – with the Bruins, Toronto Maple Leafs and Chicago Black Hawks, stretching over a 10-year period – it was as a member of the Western Hockey League’s Vancouver Canucks that Maloney really shone. 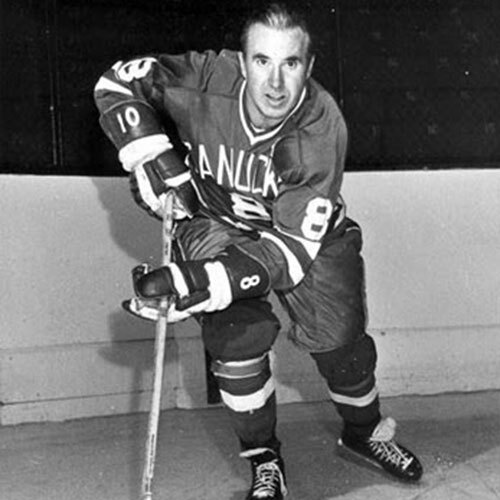 Maloney was the heart and sole of the WHL Canucks for 12 different seasons, starting in 1954 and ending with his retirement as a player during the 1969/1970 season. 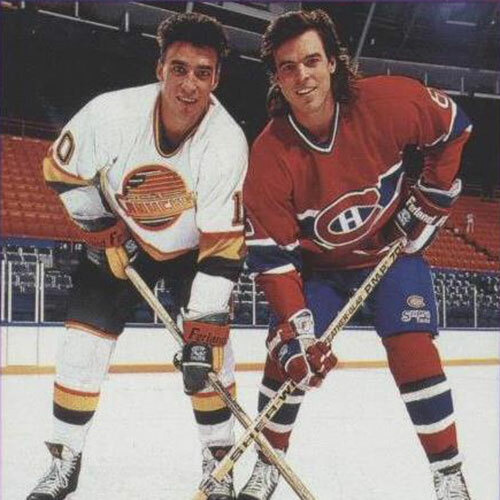 He also had stints with the American Hockey League’s Buffalo Bisons and the NHL’s Black Hawks, but he returned to the Canucks for his final nine years as a player. By the time Maloney retired as a player he had amassed 923 WHL points, to rank third on the league’s all-time scoring list. He also holds the league record for most points in a single game, scoring two and adding six assists in one game. He was twice named the league’s most valuable player and three times he was the WHL’s most gentlemanly player. After retiring as a player, Maloney turned his attention to coaching, first in the junior ranks, and then in minor pro. 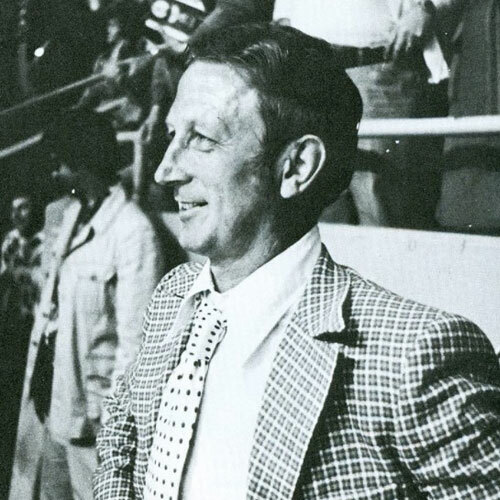 His association with the Canucks continued after the team joined the NHL as he coached the club from the 1973/1974 season through to the 196/1977 campaign. He also served as the team’s general manager from 1974 to 1977.